So, although I am retired, and Bank Holidays are not quite as necessary to me now, I was very surprised today. You see, while cycling early morning and jogging in the mid-afternoon, I noticed something very interesting. Everyone it seemed was out and active. Solo runners and bikers, couples, families, teenagers in small and large groups, pets and motorists. All were out in reasonably warm sunshine, enjoying leisure time. I’m sure that it’s been the same for most fine Bank Holidays, but it struck me in a particular way today. I suppose I am now detached from the world of work and the pressures of time, so the focus for me over the past nine months has been towards leisure and enjoying this valuable time. It was especially lovely to be able to see others make good use of limited leisure-time. Many are working hard and finding decent leisure time is difficult…but so important! I had a very busy day. Up at 7.30am for spin with my friend Declan at 8.30am. We pushed into a breezy headwind to Affane Cross, after which we enjoyed a cyclist’s dream return to Dungarvan. 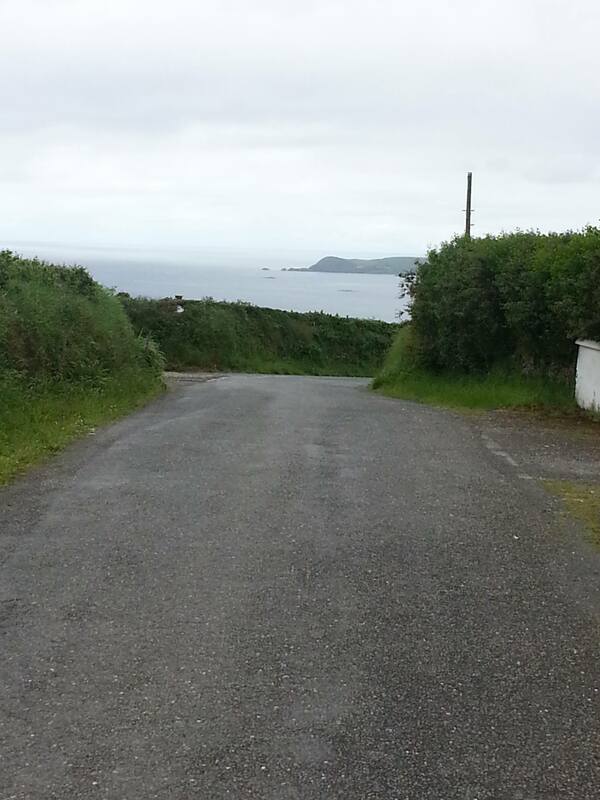 Turning off along the Military Road to Ballinroad and Garranbane, we decided to tackle a new route back to Stradbally. We nicknamed it Zoncolan de Garranbane, for good reason. The climb was just less than 2km long and very steep. In fact, the elevation from 10 metres to 130 metres in such a short distance speaks for itself! We measured some sections at 15%. Not that we needed clock-verification, because our legs were telling us that this was HARD. After coffee in Stradbally, I was very happy to see that the wind had changed SE, and I had a tailwind home. 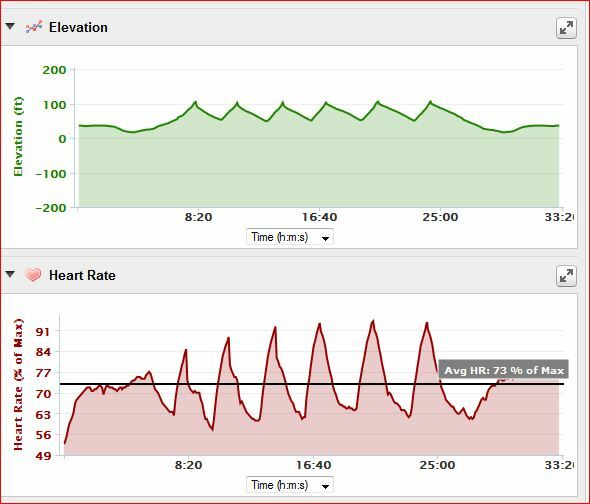 Lunch with Marion, and some time to sit in the garden to enjoy the sun was followed by me second session of the day: an easy 50 minute jog, with one-minute hill-intervals x6 (again at Garranbane!) in very warm conditions. So, now it’s time to sit back and relax watching some TV and updating this blog. The cycling link on Strava is here, and the severe section is clearly obvious from the spin profile. Sure, if you have a Strava account, you might want to follow my workouts. And of course, if you don’t well…that’s ok too! For your information: The Zoncolan is a famous mountain-climb in Northern Italy, used sparingly as a stage finish during the Giro d’Italia. I have included a link to last Saturday’s epic events on this sacred ascent. Also, some historical information about the massive climb. A pleasure to read, Padraig. We had a weekend exactly as you described. Loads of outdoor family stuff, making the most of our limited leisure time. I believe happiness comes from as many and varied experiences as you can squeeze into this life. I didn’t realise you were blogging. I’ll follow you now, and have a gander back over your previous posts too. Glad ye got to make the most of it, Ian. Important, on so many levels! I’m determined to blog REGULARLY….and I’m sure that as the months go by, my readership will increase, and with that better interaction. Beir bua! btw, liked & followed your too. Very true Padraig, leisure and family time are so important. I have found that out over the last few years. My sister only told me yesterday that someone I used to work with told her that I have my work/live balance very much tipped to life and how lucky I was. Never a truer word said, as I well know in my job life is short and want to spend the most of it with the people I love and doing the things I love. Keep up the writing.